Stop us if you’ve heard this one before: your daughter is a mythical light creature who needs saving, and you’re a seasoned warrior capable of guiding her out of the darkness. 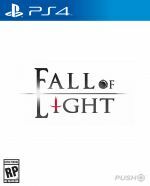 It’s the premise for every emotionally charged indie game ever, but at least Fall of Light: Darkest Edition has some action role-playing chops. It’s due out on 21st August in North America and 22nd August in Europe. With multiple weapon classes and a console exclusive dungeon, this is shaping up to be the definitive version of a title that launched to moderate acclaim on the PC last year. There’s a trailer embedded above. Not trying to be a jerk because it does look pretty decent, but I’ Be playing God of War when it comes out. Read about this somewhere when it released on PC. Anybody can shed light on this if it's worth the purchase on console?